We first saw a trailer for Joss Whedon and Marvel Comics’ ‘Avengers 2: Age of Ultron‘ a few weeks ago where we saw a ver menacing Ultron (voiced by James Spader) singing a very creepy version of ‘I’ve Got No Strings On Me’. Someone leaked the trailer before it was supposed to debut on ‘Agents of SHIELD‘, to which Marvel answered by just releasing it early. It was quite comical, but one thing is for sure, the trailer was amazing. This new 2.5 minute trailer shows all kinds of new footage with our favorite superheroes in action. 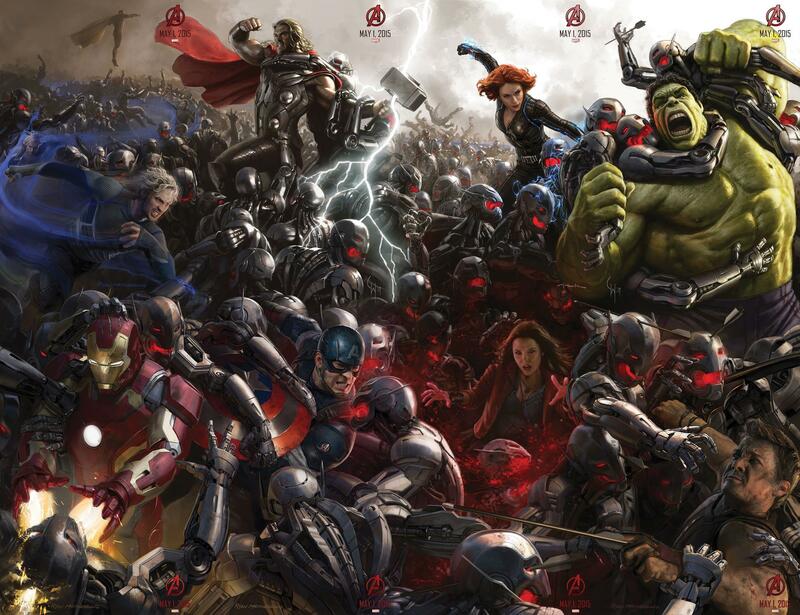 “Marvel Studios presents “Avengers: Age of Ultron,” the epic follow-up to the biggest Super Hero movie of all time. When Tony Stark tries to jumpstart a dormant peacekeeping program, things go awry and Earth’s Mightiest Heroes, including Iron Man, Captain America, Thor, The Incredible Hulk, Black Widow and Hawkeye, are put to the ultimate test as the fate of the planet hangs in the balance. As the villainous Ultron emerges, it is up to the Avengers to stop him from enacting his terrible plans, and soon uneasy alliances and unexpected action pave the way for an epic and unique global adventure. Here’s Fernando’s Thoughts on ‘Avengers: Age of Ultron’! Enjoy the New Trailer for ‘The Avengers: Age of Ultron’! This entry was posted on Wednesday, November 12th, 2014 at 12:01 pm	and is filed under Comics, Film, News. You can follow any responses to this entry through the RSS 2.0 feed. You can skip to the end and leave a response. Pinging is currently not allowed. « Michael Rooker’s Fan Q&A Panel From Tulsa Comic Con!!! Big Earl? I'm not Big Earl, I'm Jeff. Yeah, sure, no-one's who they say they are. Seriously. Think about it, I'm not even big. Maybe it's one of those ironic names like Tiny over in vice. He's like eight feet tall and everyone calls him Tiny. Except this guy's kind of normal size, he'd have to be a lot smaller for a name like Big Earl to be ironic. You don't have to be a midget, how tall are you? Well that is kind of?